Today was Day #3 of Chocolate and Gluten Free Cookie Theme Week. 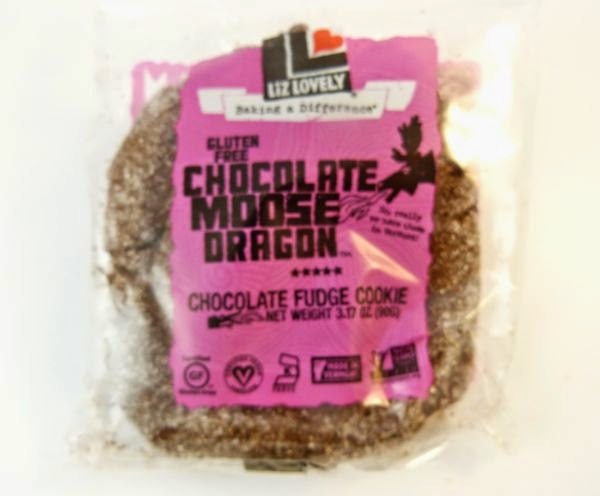 This Chocolate Moose Dragon - Chocolate Fudge Cookie was designed by Liz Lovely, Inc. (Waitsfield, VT). 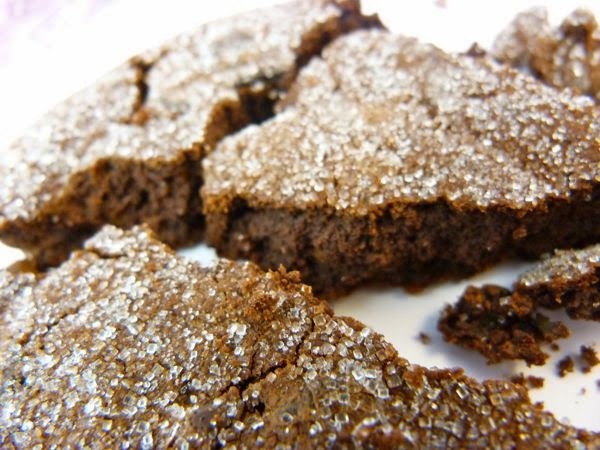 This dark, fudgey and crumbly cookie was covered with sparkling sugar crystals. 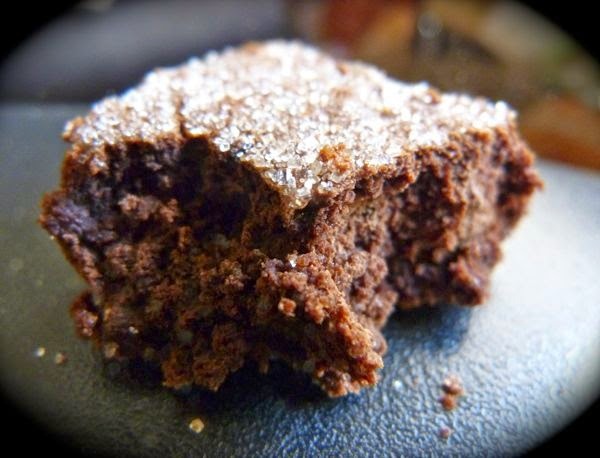 I would suggest eating this tasty, individually-wrapped cookie over a plate or napkin -- to catch the gluten free, dairy free, egg free, kosher/pareve, Non-GMO crumbs.